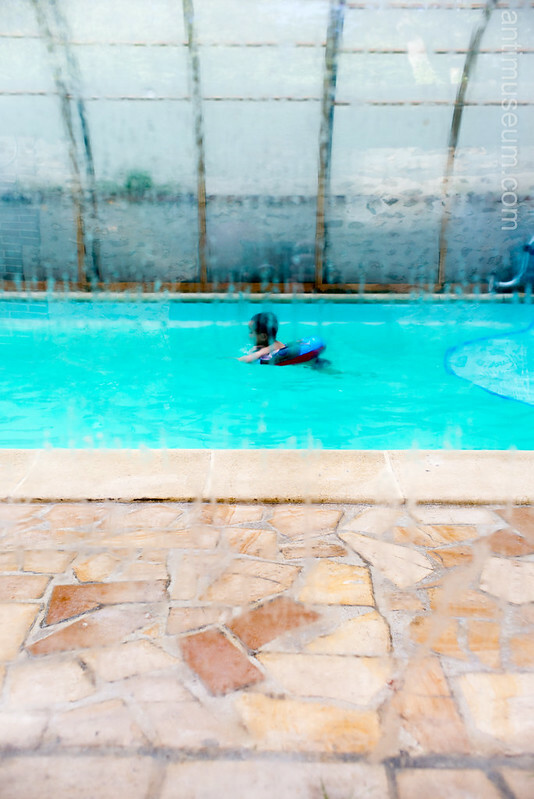 This is a series taken in and around a swimming pool within the premises of a private property. As the water was at body temperature, I used the condensation on the windows to create patterns or effects. Friends talking outside the pool, blurred by the condensation on the windows of the pool. 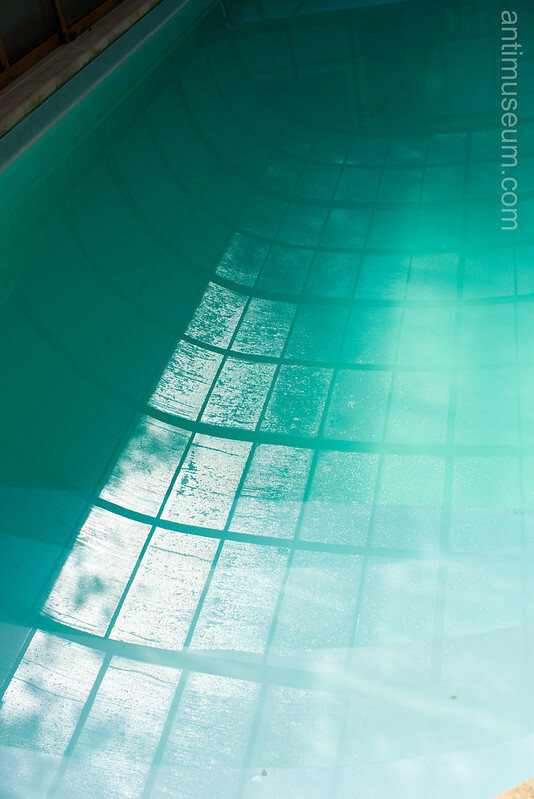 The reflection of the ceiling in the pool was very picturesque too. One of the children had brought an inflatable dolphin with him, which I had found very interesting. 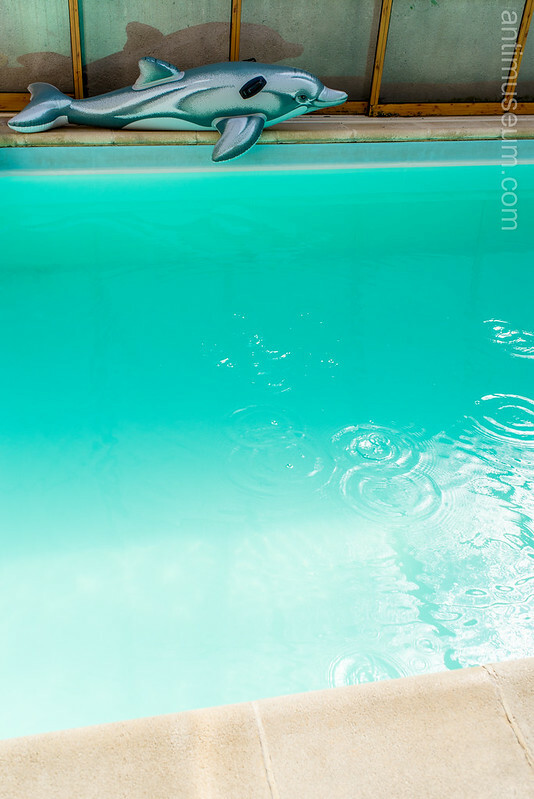 I also discovered that by shaking the protective structure of the pool, I could make drops fall from the ceiling and draw circles on the surface of the water. I especially like the reflection of the ceiling!